In the bathroom in Ede I’ve got a bath. At home we don’t have one. But I never used the bath in Ede because I think it’s a bit awkward since I share the bathroom with my housekeepers. I don’t want to claim the bathroom for so long. So I never used it. Until now. Because my housekeepers are on summer holidays for three weeks and I’ve got the whole house for myself. Which meant: not sharing the bathroom with anyone! So I went to Utrecht to meet with a friend and saw that a Lush store was still open. We went in and I bought two bath bombs. Frozen (of course) and the experimenter. I loved both of them, the way they colour the bath and I love the smell. The Experimenter smelled like vanilla. And I’m vanilla fan so I was in love with it. What frozen smelled like, I’m not sure. But it was really good also. What I really like about these bath bombs are the colours. 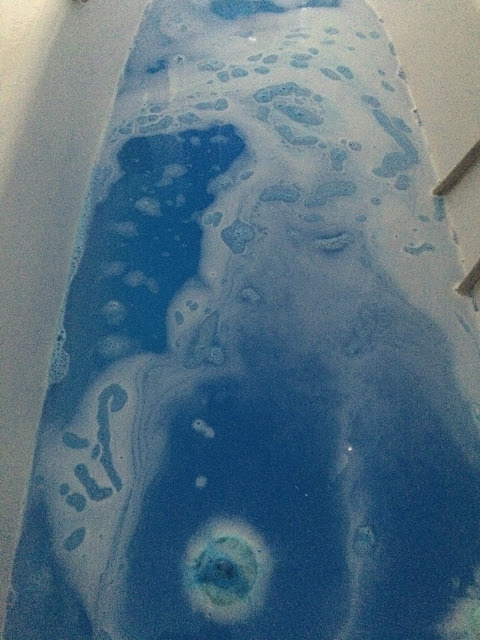 The experimenter coloured my bath deep green and frozen made my bath light blue. My skin also felt super soft after the bath so I really really love that! Also, Experimenter didn't 'bomb' very well as you can see on the photo I looked on internet and those bombs looked way cooler than mine. But Frozen bombed a lot better in the water which gave very cool effects! There was only one thing I was a bit sad about and that were the glitters. I love glitters as long as they don’t stick on me. 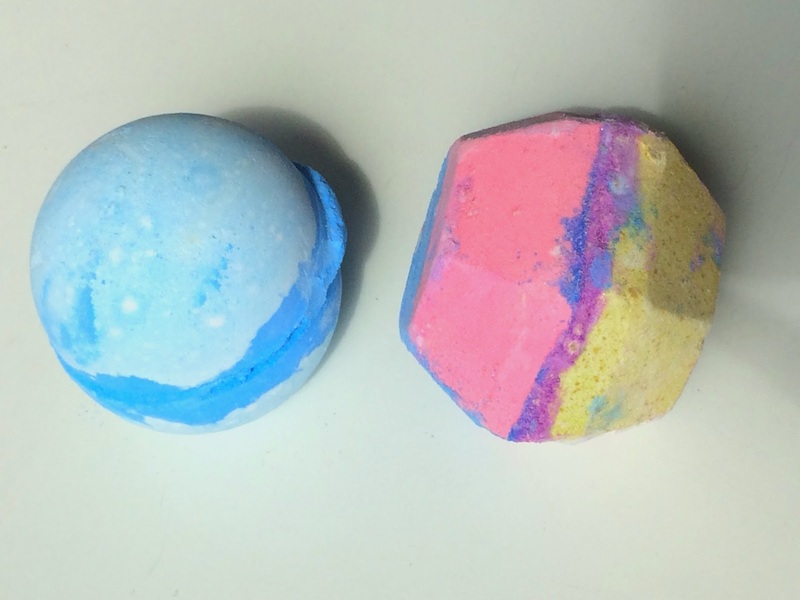 And these two bath bombs were full of glitter and I couldn’t see that on the outside. So I was Gemma Glitter the day after I had used the bath bombs but I must say that after I slept a lot glitter were left behind in my bed and weren’t sticking on me anymore. 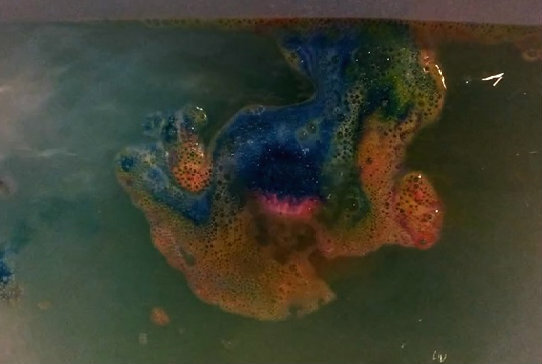 Next time, when my housekeepers are gone on holiday again I would love to try out more bath bombs, even with glitter because I secretly didn’t mind it that much as I thought I would. So I’m actually okay with the glitter but it bothered me at first. 2 comments on "My first Lush Bath Bomb Experience"
Thanks for commenting. I've had several offers of the free earrings from your company. A link is given without more information. If you want to contact me about it please send an email to rian.nieuwkoop@gmail.com.